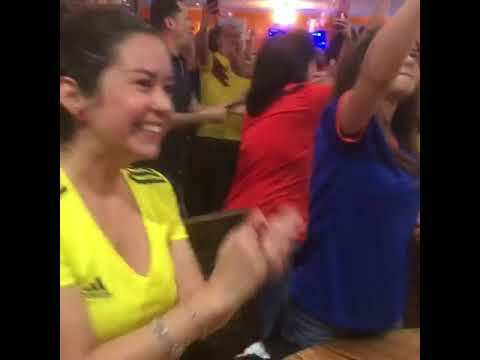 Hackensack's Noches de Colombia erupted in a joyous celebration Thursday as Colombia beat Senegal, advancing to the next round of the World Cup. The Main Street restaurant was packed wall-to-wall with patrons who exploded every so often as their team got closer to a goal. In the 74th minute, it finally came bringing the final score to 1-0. "It's a big deal for us," said Noches' manager Alejandro Munez, 28. "We put a lot of time in soccer. It's a passion we have. It's the only thing that represents us here." 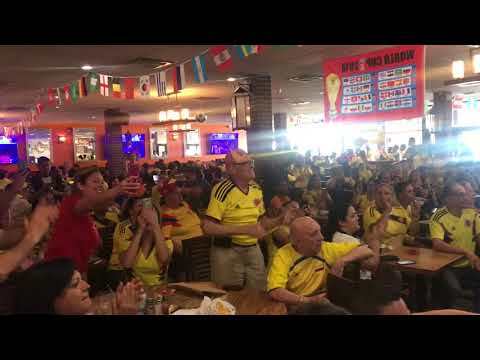 The restaurant was nearly twice as packed Sunday, when Colombia took its first World Cup win against Poland (3-0). Some people were at work during Thursday's game, but many called out -- like Madeline Sanchez and Christian Agosto of Totowa, who also came to celebrate daughter Selina Gomez' birthday. "We couldn't miss this," said Sanchez, 38, who rescheduled clients to make the game. "Colombia takes soccer seriously -- you've got to be proud of where you come from."